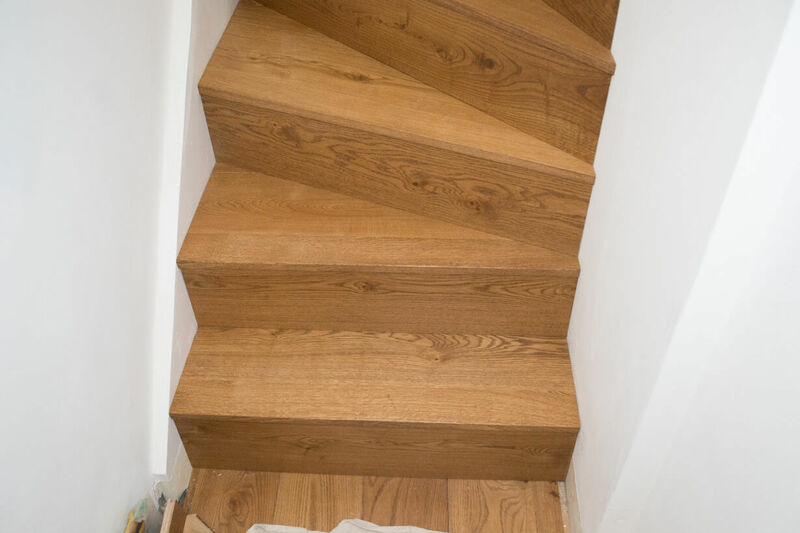 At this project we regenerated a staircase in a “Georgian” finish. 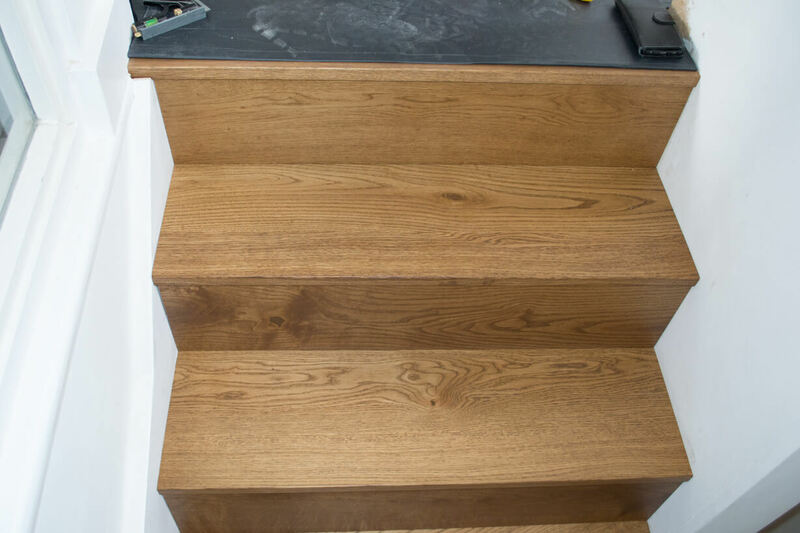 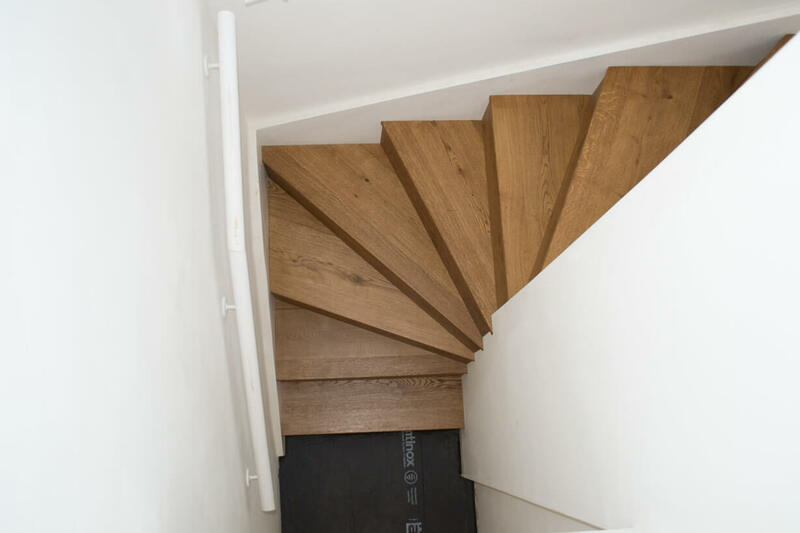 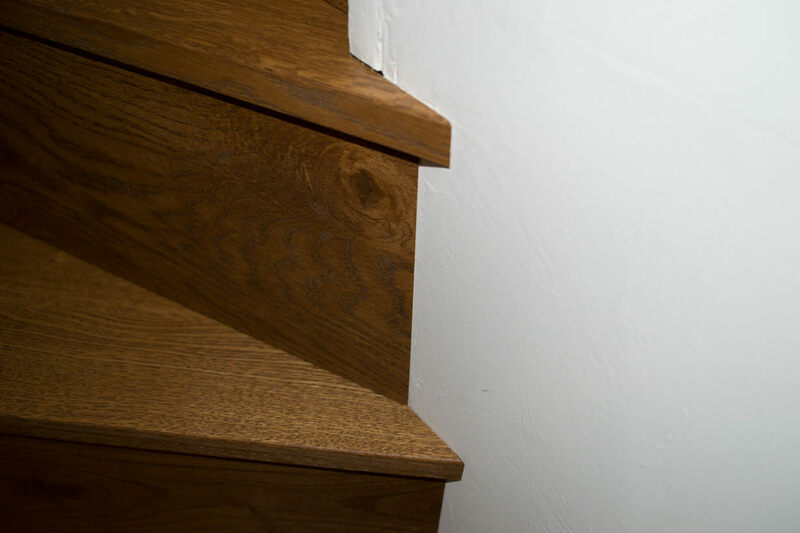 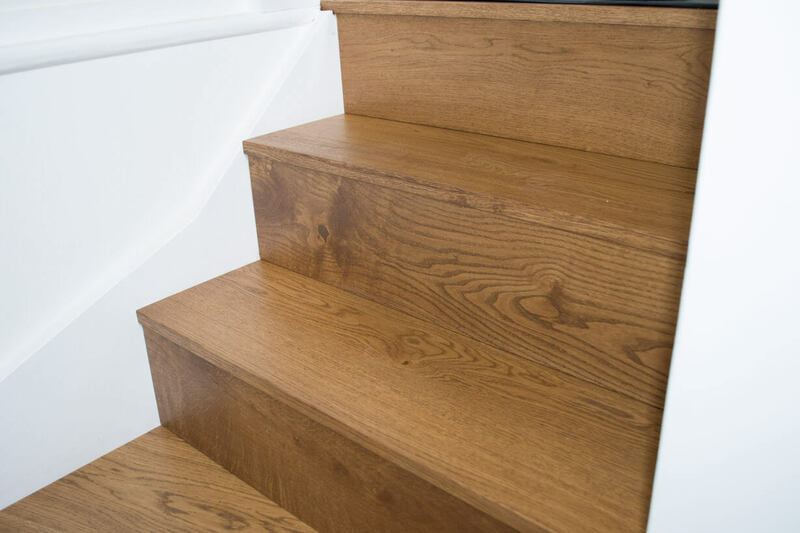 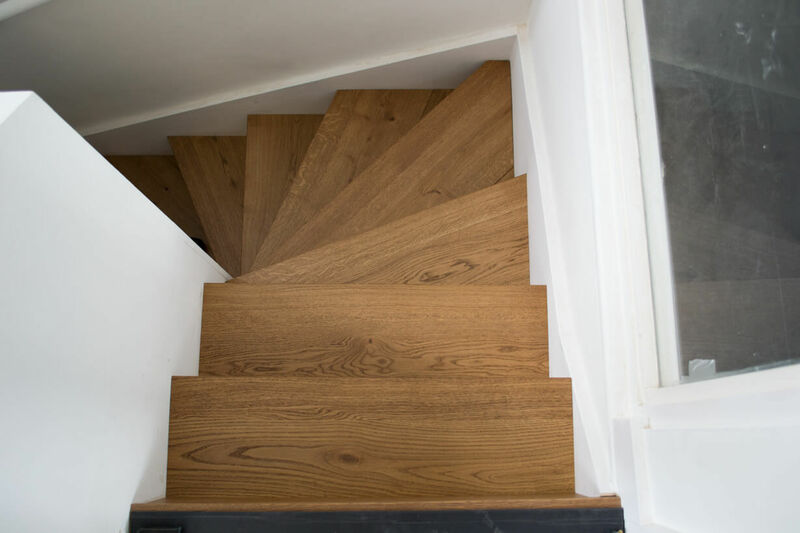 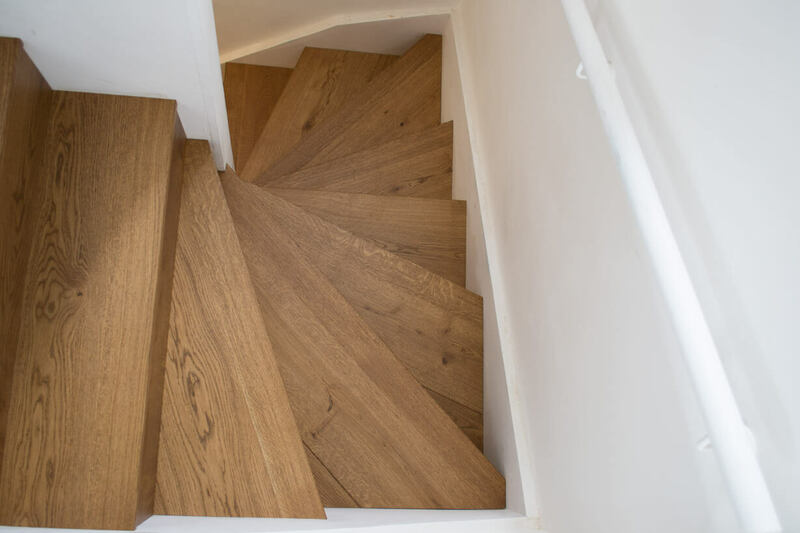 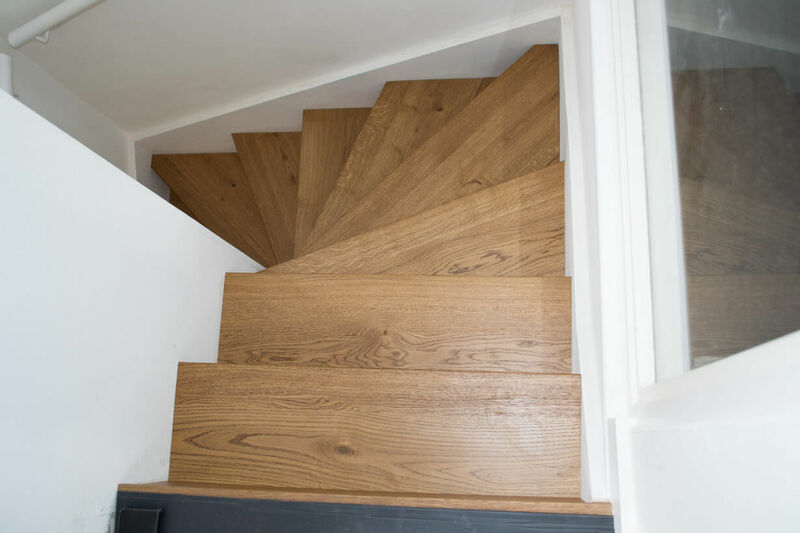 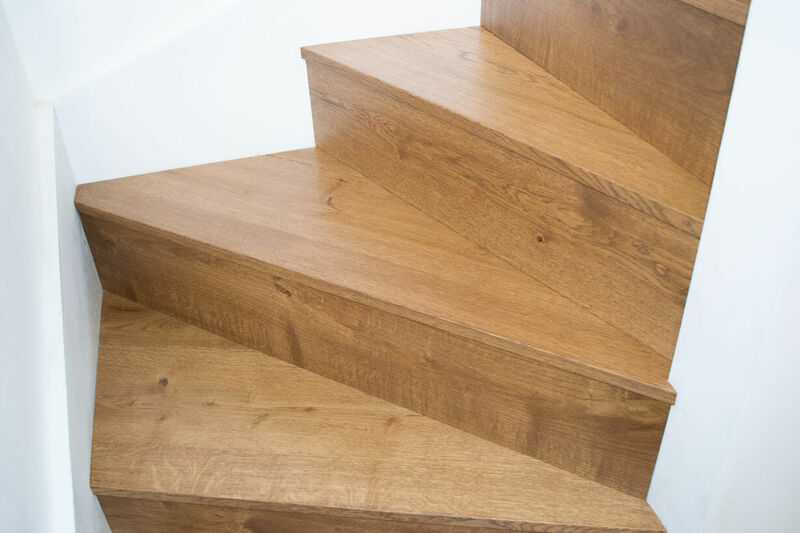 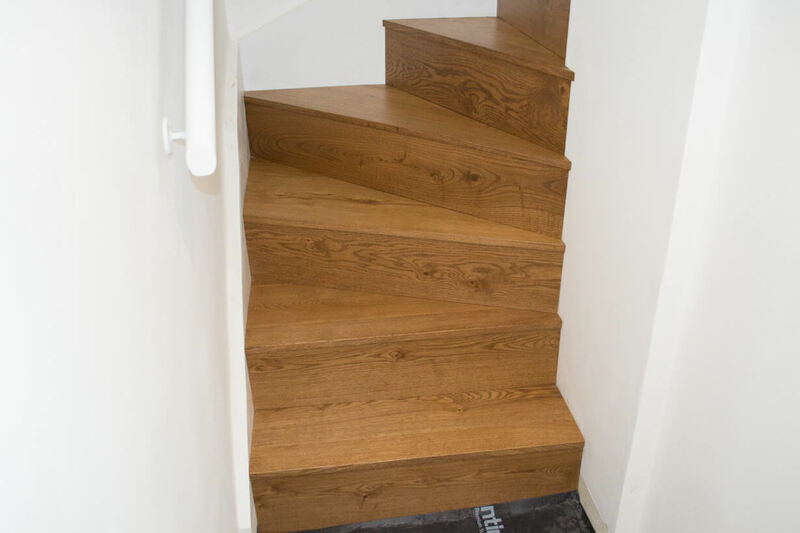 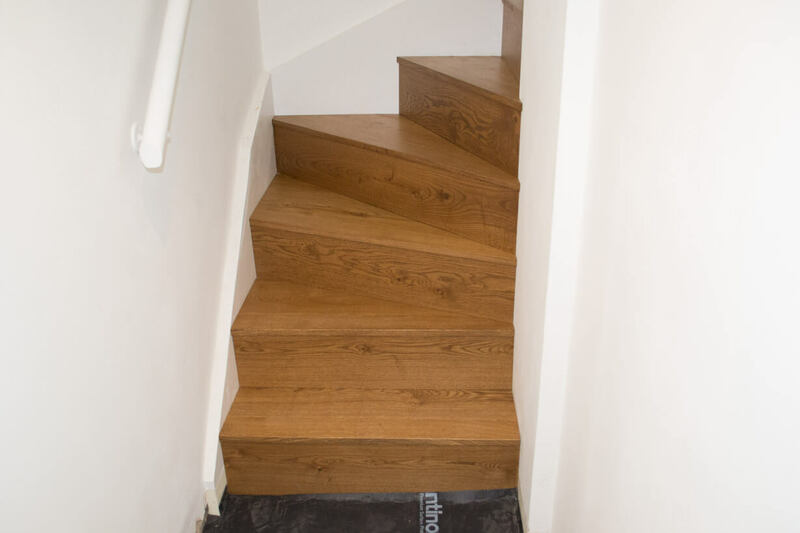 As the walls next to the stairs are white we used prime grade oak to give it a clean and sleek finish. 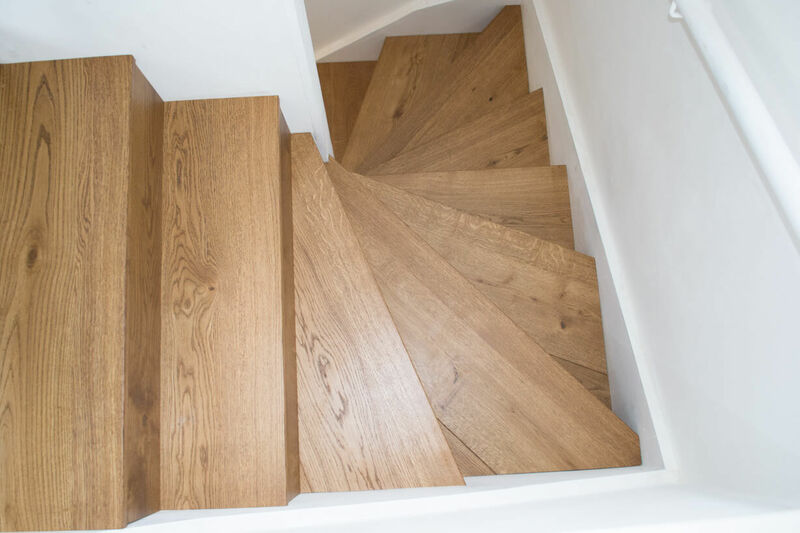 This particular finish was chosen by our designers to perfectly match the flooring that already existed on the floor above. 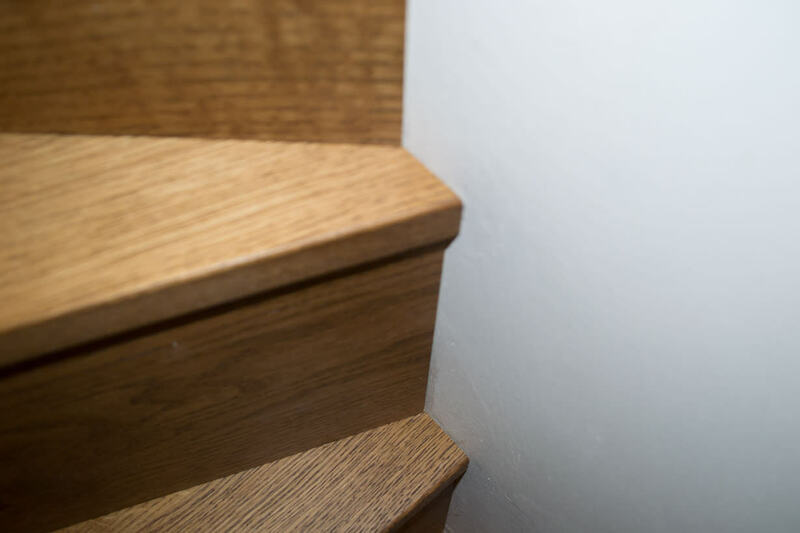 This ensures that the finish looks perfectly natural and does not clash against the other colours in the house. 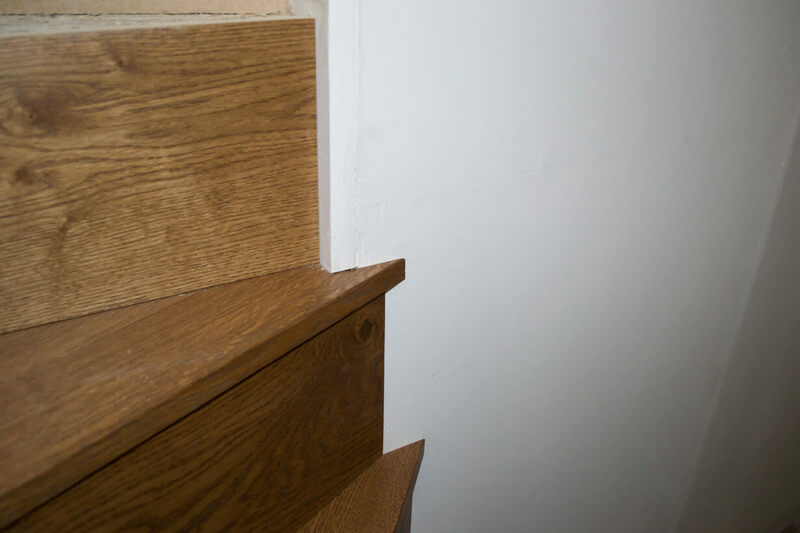 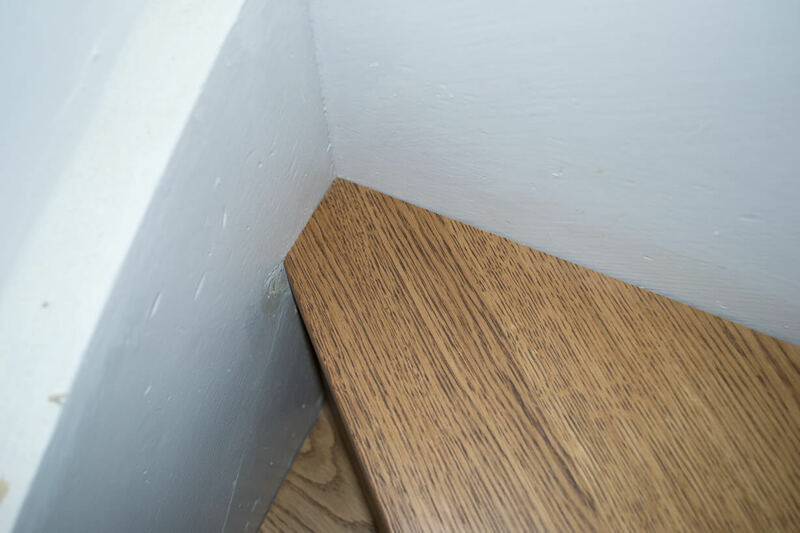 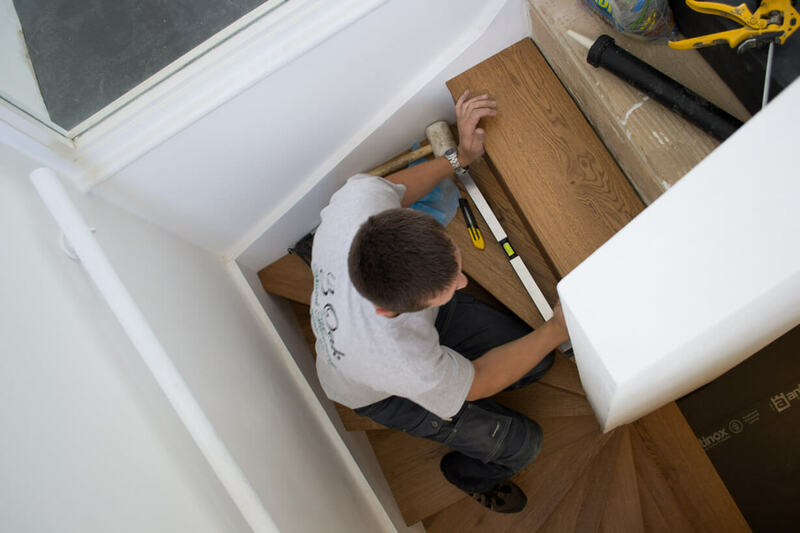 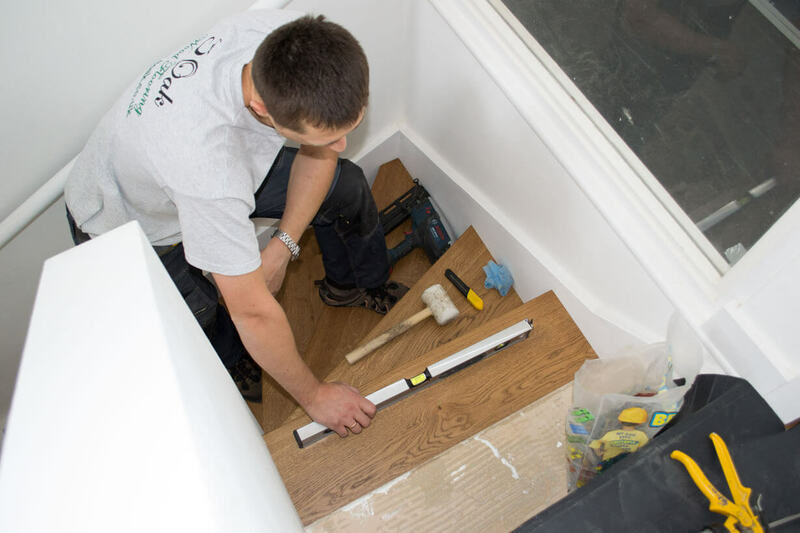 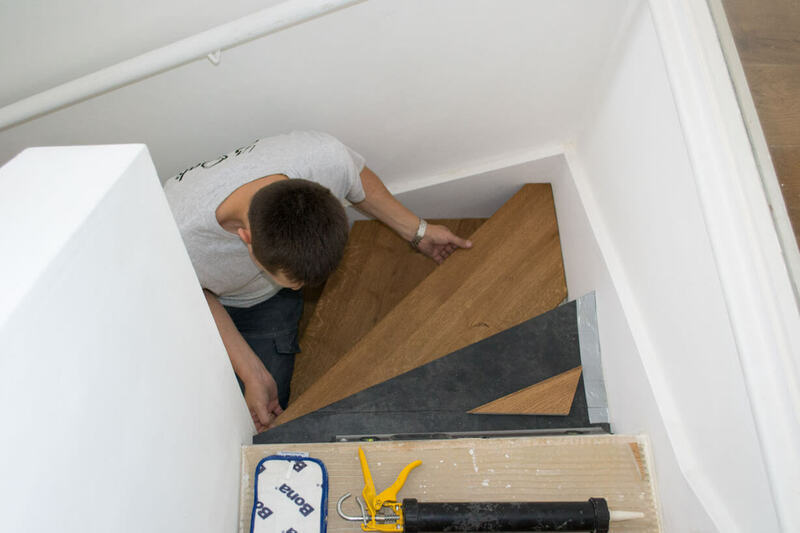 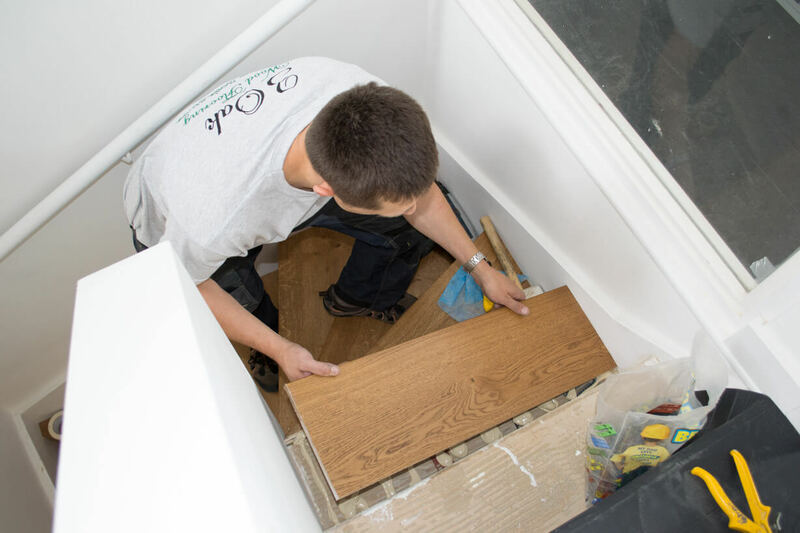 Our qualified fitters perfectly installed the stairwell against the wall, meaning that there was no need for beading or bordering of any kind. 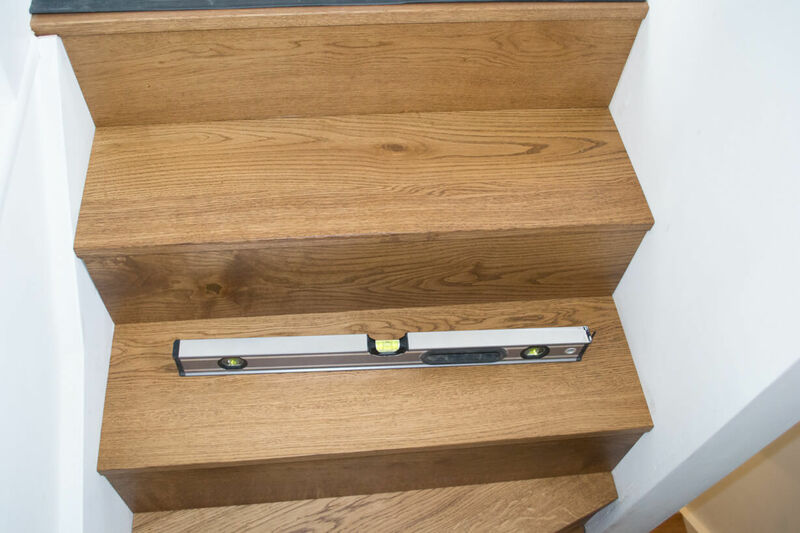 This helps the stairwell look neat, tidy and flawless.